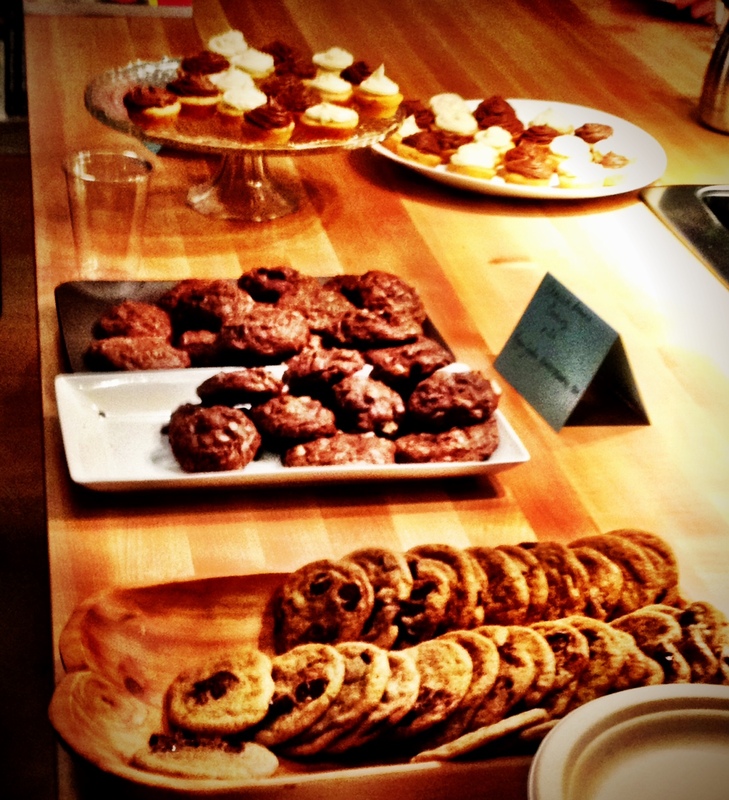 Joy the Baker Book Tour…And Cookies of course! I swung into the adorable and wonderful Book Larder and bought my book, then headed next door to Hunger for a quick happy hour drink and bite before the signing. 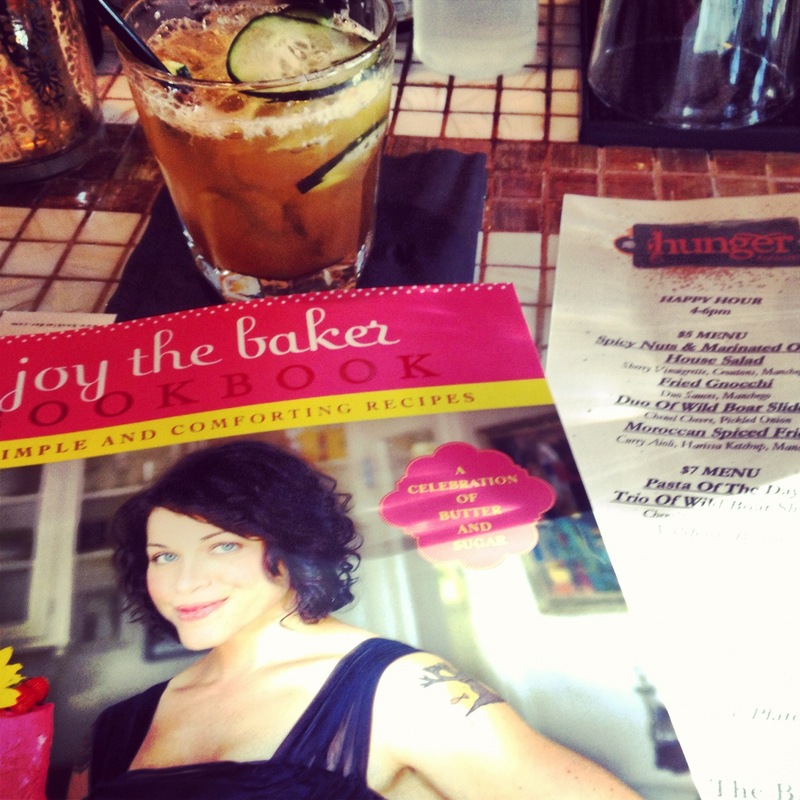 I browsed through my book with a delicious cocktail and was already in heaven – all of the recipes looked fantastic. My friend Erin (from gnocchi night) met up with me and kept my giddy self company. Once I went back next door, the place had already filled up quite a bit, but I managed to get a good seat in the fourth row. Minutes passed, and people were spilling out the door. Local bloggers made some of Joy’s recipes – I wanted to try everything! 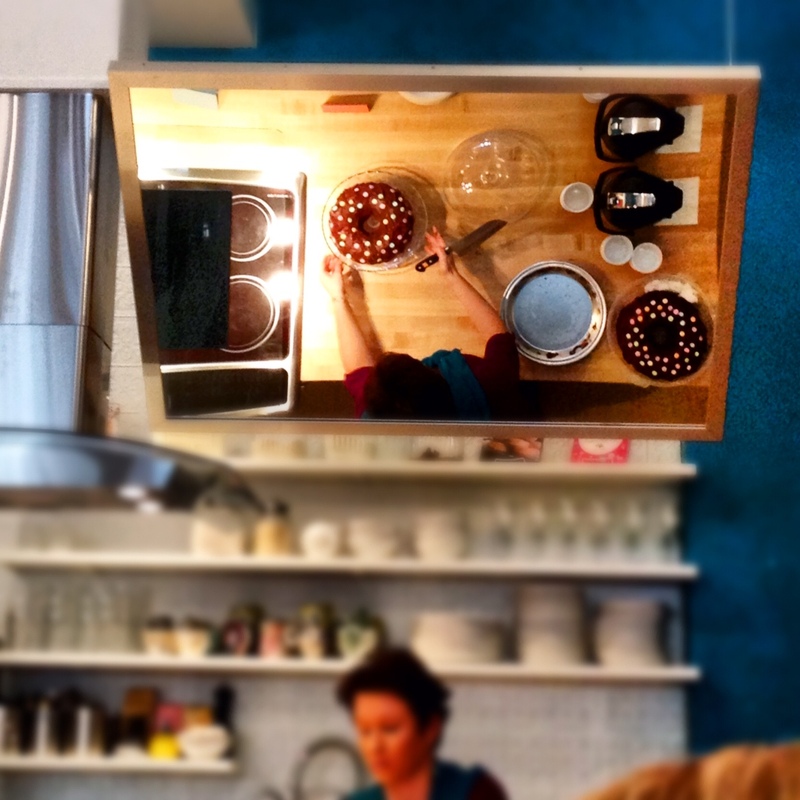 Watching one of Joy's recipes get sliced in the overhead mirror at book Larder. Joy came out and gave a great talk, and I was pretty much elated the whole time. She answered questions, and naturally I had to ask her something non-cooking related, “who is taking care of your cat?” I am a huge weirdo. Once the actual book signing came, Joy took time to chat with everyone and you could sample the treats while you waited in line…I wanted to try everything of course, but tried to be good and just had the white chocolate macadamia brownie cookies. 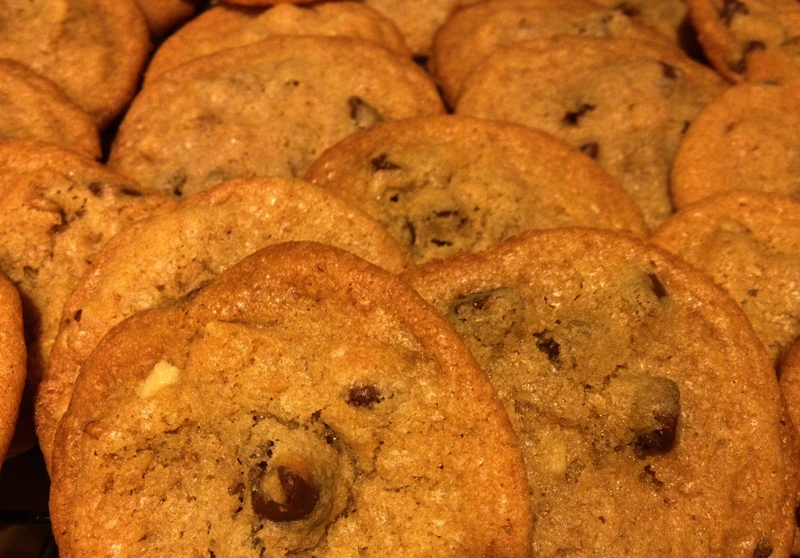 Erin had the browned butter chocolate chip cookie, which also happens to be Joy’s favorite recipe from the book. I wish I would have just had one, but hey, there were a lot of people behind me in line who deserved a cookie too…So I knew it would have to be the first recipe I made from the book. YUM. I had the brownie cookie in the middle (amazing, can't wait to make that) and Erin had the browned butter chocolate chip cookie. Here they are, in all of their flat glory! 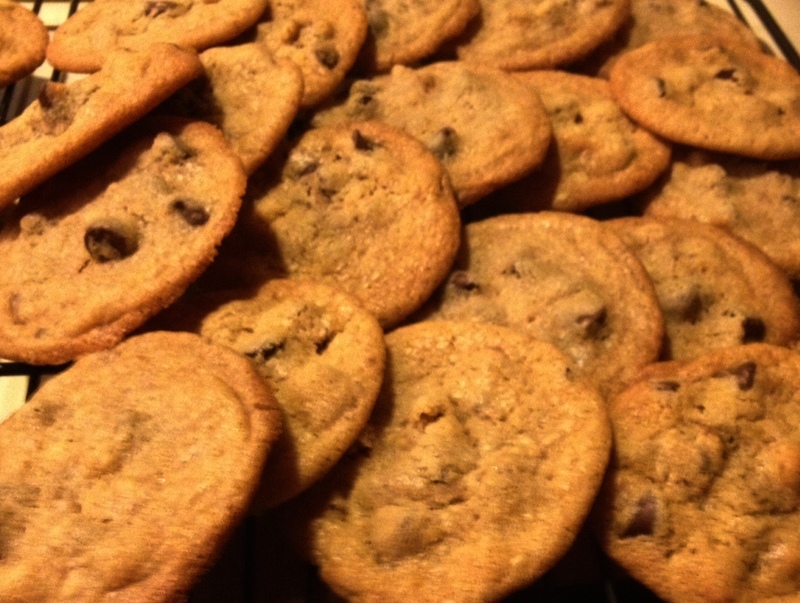 As it turns out, these are the best chocolate chip cookies I have ever made. They are also flat. I still brought them into the office, and had a life changing moment. Someone told me that the flatter the cookie, the more butter, and therefore the more delicious. Everyone loved them and complimented them! I have never been happier. Browned butter, in all of its salty, melty, brown chunks of delicious-ness glory. Glory is apparently my word of the day. Browning the butter was a bit scary at first, but I’m glad it’s a technique that I can manage. Let the butter cool in a bowl, not something like a syrup mug type thingy that will just keep the butter hot for a longer period of time. Always learning! I made one sheet without parchment paper, and they weren't as good! Just line your pans with parchment paper, seriously. I also think baking the cookies on parchment paper makes them better – this is something I have never done before and it made it so the edges weren’t way crispier than the center of the cookie. I can tell I am already going to learn a lot of good stuff from this cookbook. Brown 1 stick plus 1 tablespoon butter. To brown, place butter in a silver bottomed skillet over medium heat. 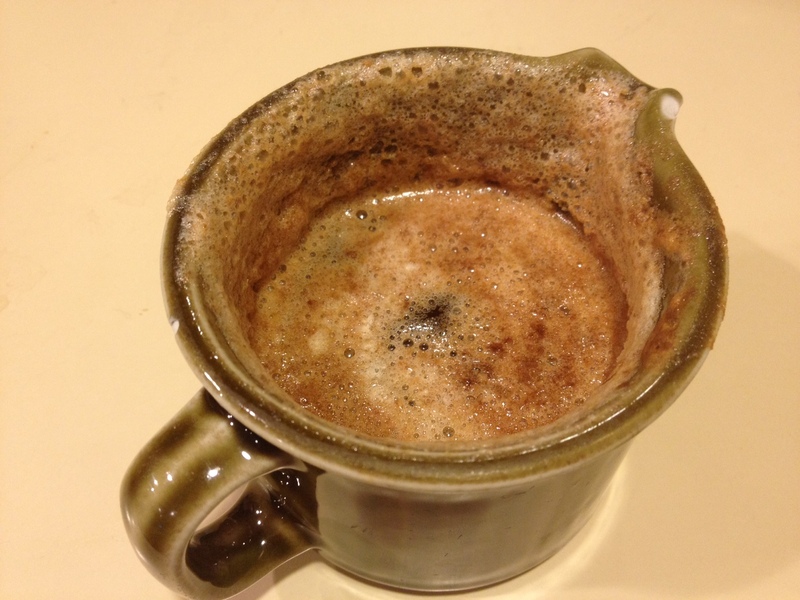 Allow butter to melt, watch for foaming and frothing, this is good. Listen for crackling and popping, this is also good. One the sound subsides, keep an eye on the butter as it will start to brown quickly. The butter will smell rich and nutty, and once it reaches a rich chestnut color, remove the pan from the heat and immediately transfer the butter to a small bowl. Get all the brown bits out! Let butter cool to room temperature. In a large bowl, cream the remaining stick of butter with the granulated sugar. Cream on medium speed until light and fluffy, about 3 – 5 minutes. Add the vanilla extract and molasses, and beat until incorporated. Once the browned butter has cooled slightly, pour into the creamed butter mixture, along with the brown sugar. Cream for about 2 minutes until well incorporated. Add the egg and egg yolk, and beat for about 1 more minute. Add the flour mixture, all at once, to the butter mixture and beat on low speed until the flour is just incorporated. Fold in walnuts and chocolate chips with a spatula or wooden spoon. Cover the bowl with plastic wrap and allow to chill in the refrigerator for 30 minutes while the oven preheats. Place racks in the upper third and middle of the oven and preheat to 375 degrees F. Line 2 baking sheets with parchment paper. 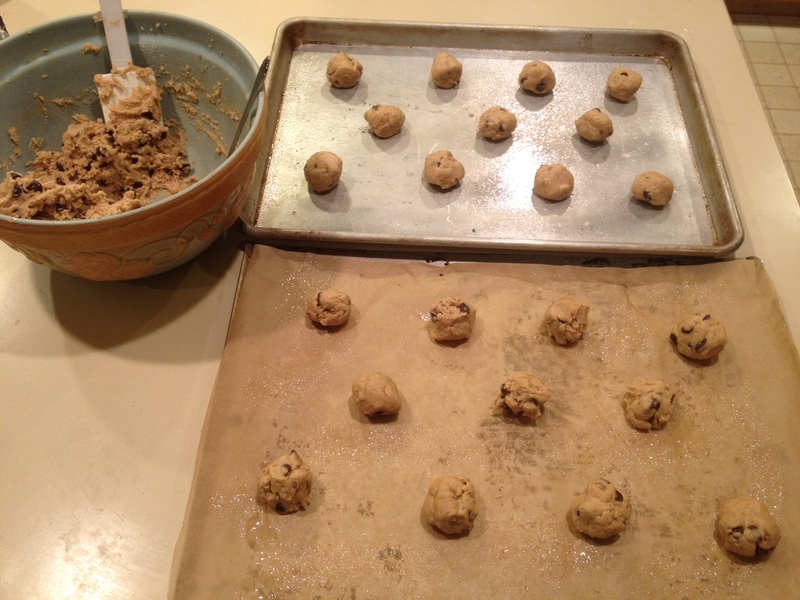 Roll tablespoons of dough into balls and space about 2 inches apart on the baking sheet. 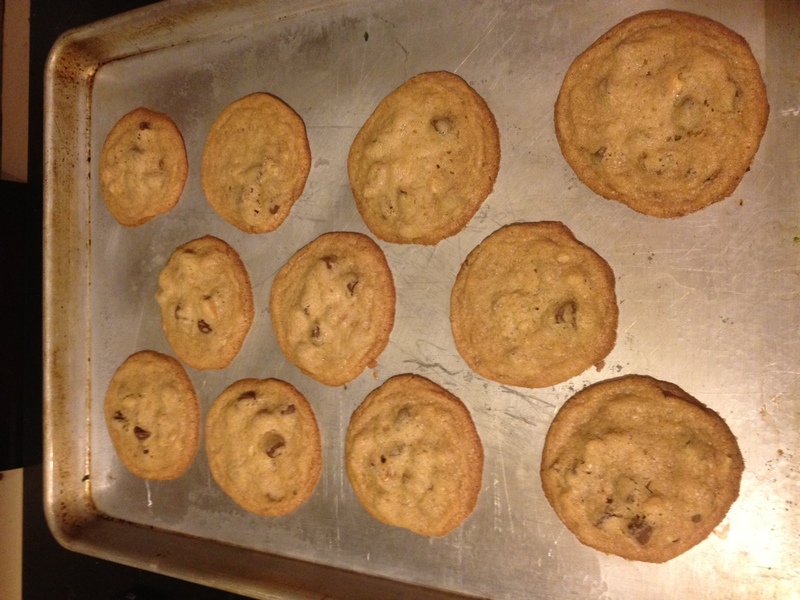 Bake cookies for 12 minutes until lightly browned on the outside, but still soft and tender in the center. Rotate the sheets halfway through baking, switching the sheets on the racks. Remove from the oven and allow to rest for 5 minutes on the baking sheet before removing to a cooling rack or immediately enjoying with a cold glass of milk!